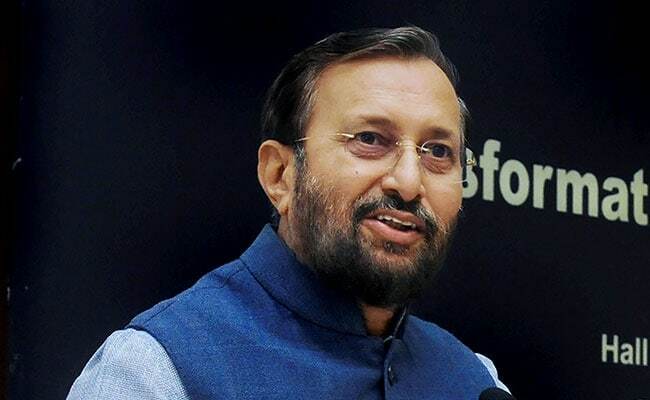 Prakash Javadekar's attack comes in the wake of a report in an Urdu daily according to which Mr Gandhi told a meeting of Muslim intellectuals earlier this week that the "Congress is a party for the Muslims". Stepping up its attack on the Congress, the BJP on Monday dubbed it the "worst communal party" and sought its clarification over the reported remarks of Rahul Gandhi that his party is for the Muslims. "The Congress is the worst communal party. It has always done communal politics. What Rahul Gandhi has said is against the spirit of the Constitution and against every principle of democracy," Human Resource Development Minister Prakash Javadekar told reporters here. Mr Javadekar's attack comes in the wake of a report in an Urdu daily according to which Mr Gandhi told a meeting of Muslim intellectuals earlier this week that the "Congress is a party for the Muslims". Prime Minister Narendra Modi on Saturday attacked Mr Gandhi, saying whether the Congress was interested only in the welfare of Muslim men and not women. "The Congress has damaged the country to a great extent. We condemn their policies. The communal policies do not serve the country. Rahul Gandhi should speak on this," he said. He said that though the Congress has denied that the party President made such remarks, the party's minority cell chief clarified that Rahul Gandhi has spoken the truth. "The Congress is exposed. Its appeasement policies have damaged the country. You are distributing natural resources on the basis of religion. That was exactly the basis of whole history of partition. The Congress is a communal party. Their thinking is destructive. Shah Bano case is the biggest example of Congress being a communal party," Mr Javadekar said.